Although Microsoft Excel itself is a big calculator, using Excel Macro & VBA remains a popular method to create a calculator. Obviously, lots of coding is required to build a prototype of a calculator and it can only run after a full proof debug has been performed. The article below takes you through the steps necessary to build a calculator feature under Excel VBA. Below is the coding to create a Calculator feature under Excel VBA. Published by deri58. Latest update on December 30, 2012 at 11:06 AM by lermite222. 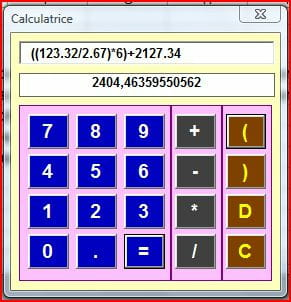 This document, titled "Excel VBA - Calculator," is available under the Creative Commons license. Any copy, reuse, or modification of the content should be sufficiently credited to CCM (https://ccm.net/).